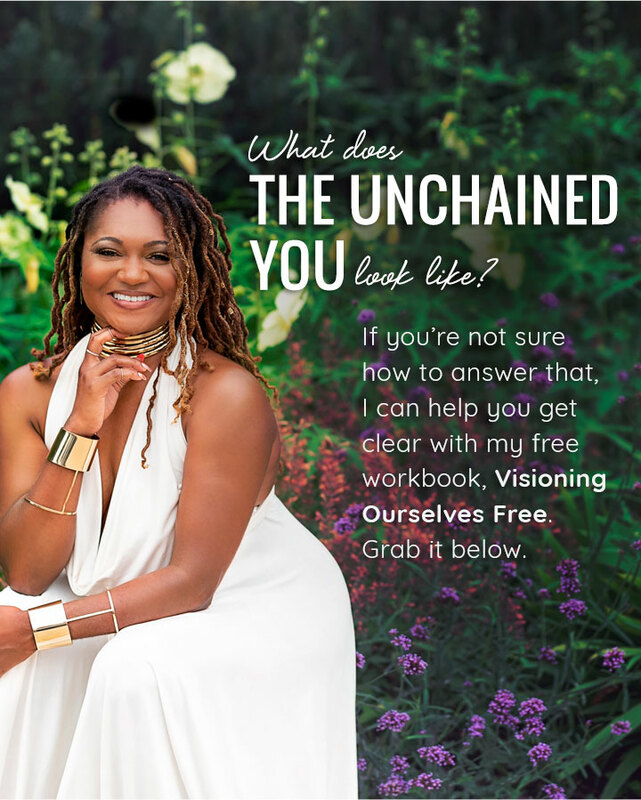 If you’re not sure how to answer that, I can help you unlock the answer with my free workbook, Visioning Ourselves Free. Grab it below. The guide is 100% Free. I will never share your info. 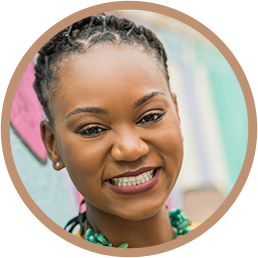 I’m here to support you in setting yourself free by teaching you how to identify and break the chains of self-limiting beliefs, and embodying the liberation that’s already within you! Everything you need to live a life of joy, authenticity, love, and alignment is right within you! As your coach, my work is to support you in clearing out all the junk that had you believing any different. In essence, I help you Remember. Who. You. Are. you have to identify and name how you’re chained. On this journey of Emotional Emancipation℠, I want to guide you in breaking free from feelings of unworthiness and inadequacy, perfectionism, guilt, shame, fear, rejection, unprocessed grief, internalized oppression, and more – and creating a life of joy, ease, abundance and groundedness. A life you deserve. I’m committed to lovingly holding space for you with compassion, and reminding you of the power already within you to make self-honoring and self-loving choices that continuously move you toward liberation. 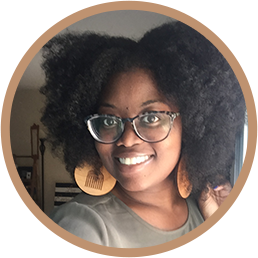 I’m a Spiritual Life Coach, Pleasure Activist, Facilitator, and Community Builder supporting Black, Indigenous, and People of Color all over the world in breaking the mental, emotional, and spiritual chains that hinder us from being exactly who we’re uniquely designed to be. I help people get FREE! 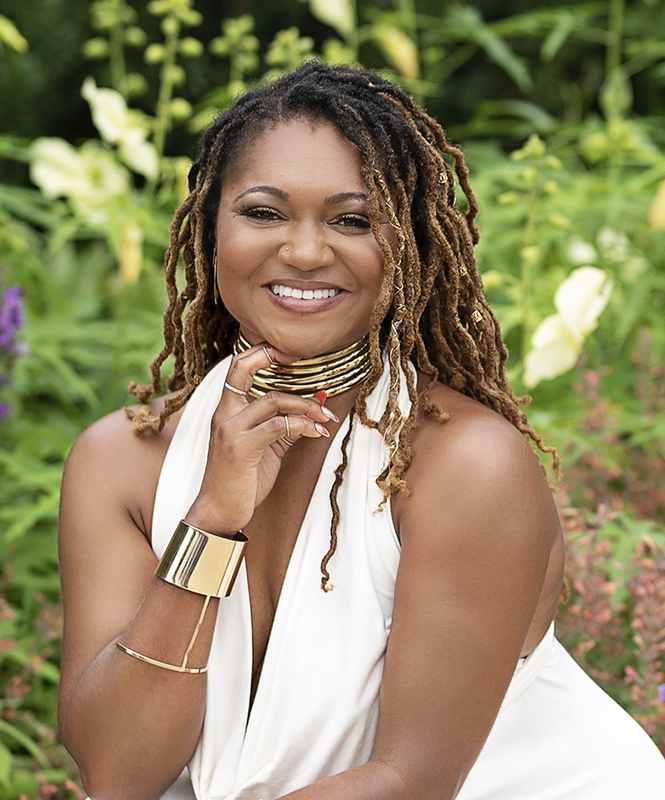 Unabashed transparency in sharing my own healing journey, combined with my intuitive gift of seeing right to the root of an issue, allows me to guide my clients through deep self-reflection work at a pace that honors where they are, while holding the truth that healing can happen in an instant. And often does! The JOY that comes from seeing my client’s patterns of self-sabotage and self-limiting beliefs fall away is indescribable! 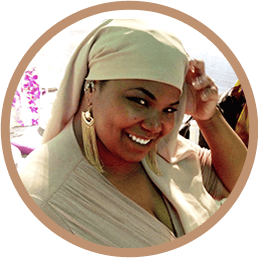 My Washington, D.C. based practice, Unchained Visioning, exists to support the evolution of our collective consciousness by making healing accessible. internalized oppression (i.e. anti-Blackness, cis-sexism, capitalism, patriarchy, etc. ), self-hatred, anger, perfectionism, feelings of unworthiness and inadequacy, multigenerational trauma, white supremacy, fear, rejection, silence, abandonment, denial, shame, guilt, and judgment. 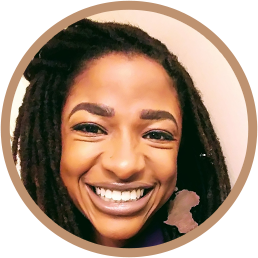 From South Africa to Charlottesville, I create and facilitate transformative healing spaces to process racial stress and trauma, and to experience embodied liberation & collective Joy, in the midst of dismantling systems of oppression. 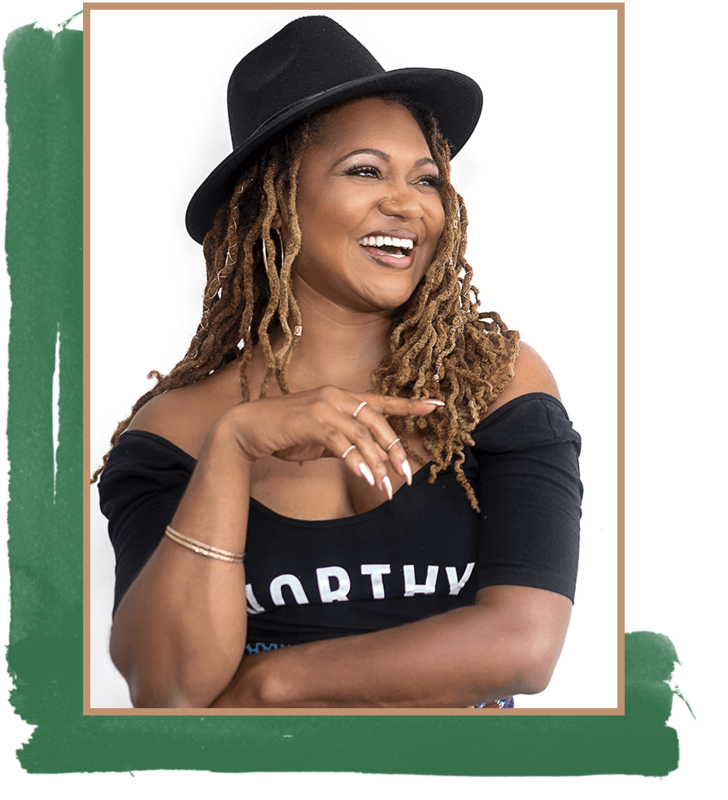 Guided by the principle of self-determination, I teach the importance of visioning what liberation actually looks like for you, creating the time to heal, learning & practicing essential emotional wellness skills, and intentionally detoxifying our minds and spirits by replacing the lies weʼve been fed with the Truths of who we really are. you ready? Let’s get free. 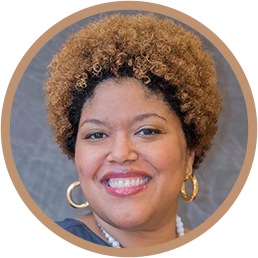 Hear from past clients on what it’s like to work with me. READY TO LIVE YOUR LIFE UNCHAINED? Fill in the form and I’ll get right back to you. What does personal liberation look like for you? 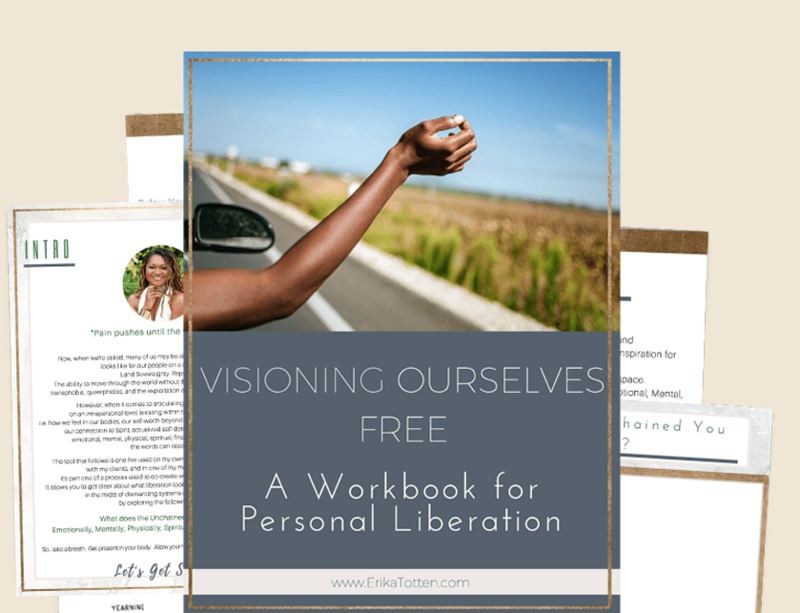 I’ll help you get clear with my workbook Visioning Yourself Free. It’s FREE and it comes with a special surprise!